Location: Loch Assynt Lodge is a grand Victorian hunting lodge located in the beautiful landscape of Loch Assynt in Sutherland, Scotland. About your host at Loch Assynt Lodge Estate: Team, Loch Assynt Lodge Estate. Loch Assynt Lodge commands an enviable view across the north shores of Loch Assynt one of Scotland's ultimate trout lochs. The lodge is surrounded by the most beautiful alpine garden and woodlands. Originally built in 1870, the house is in immaculate condition and harbours an astonishing feature of charcoal wall sketches depicting early fishing and stalking scenes from the estate. ­­­­­­Stalking and fishing experience at Loch Assynt Lodge Estate: Loch Assynt Lodge estate is ideal for traditional country pursuits such as stalking, shooting and fishing. We have all the necessary equipment and experience required. 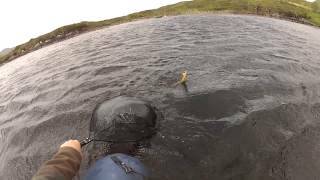 We are situated on the north shores of Loch Assynt one of Scotland's best trout lochs. We have a boat moored on Loch Assynt and on one of the twelve hill lochs, plus a rigid inflatable boat (RIB) for coastal exploration. 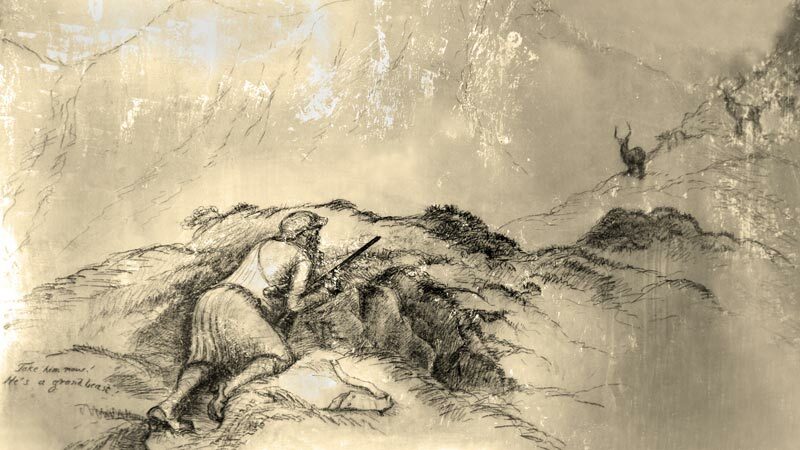 Loch Assynt Lodge estate has a long tradition of deer stalking as shown by the lodge's unique historic feature of charcoal wall sketches depicting early fishing and stalking scenes from the estate. Click here for quick link country guide. To select and book the top suggested hotels and accommodation in the area when hunting at Loch Assynt Lodge Estate, click here. by car or public transport to Loch Assynt Lodge Estate.